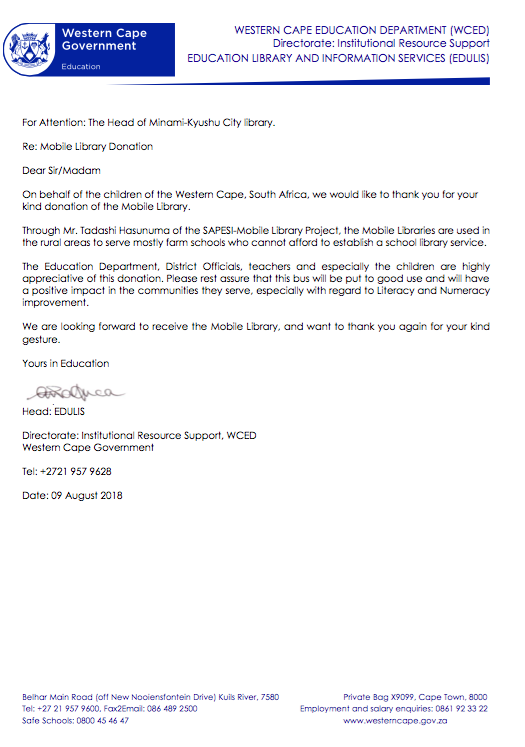 On behalf of the children of the Western Cape, South Africa, we would like to thank you for your kind donation of the Mobile Library. Through Mr. Tadashi Hasunuma of the SAPESI-Mobile Library Project, the Mobile Libraries are used in the rural areas to serve mostly farm schools who cannot afford to establish a school library service. The Education Department, District Officials, teachers and especially the children are highly appreciative of this donation. Please rest assure that this bus will be put to good use and will have a positive impact in the communities they serve, especially with regard to Literacy and Numeracy improvement. 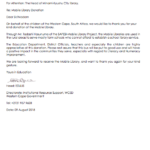 We are looking forward to receive the Mobile Library, and want to thank you again for your kind gesture. Copyright © SAPESI-Japan. All Rights Reserved.